Real Escapes Properties is proud to offer this 3 bedroom 3 bathroom Coast Cottage that was beautifully redecorated in 2016. 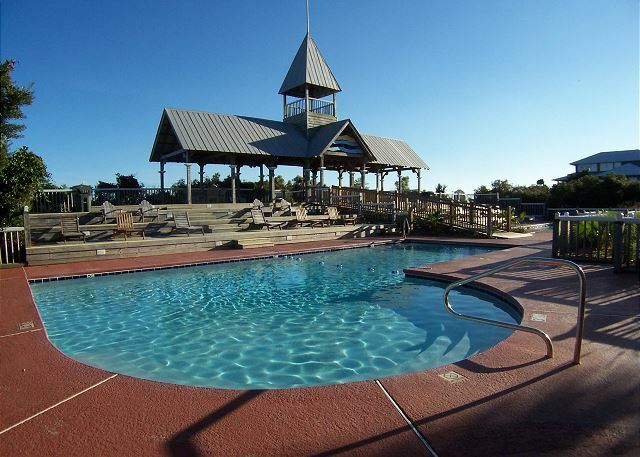 Guests can enjoy the amenities of the beachside pool, pavilion, and private boardwalk to the beach. Enjoy biking, swimming, kayaking, shopping, or dining at one of St. Simons fabulous restaurants. Flat Screen TVs in each bedroom and Wireless Internet. Bedding is 3 queens. We stay here every year in September. The staff at Real Escapes hardly knew we were there. Everything was ready and perfect. There are plenty of kitchen utensils...I like to was just perfect. A delightful home away from home. Magnolia Cottage was clean and well furnished for the needs of one on holiday. We loved everything about the cottage except the steps. No problem for youngsters, but when you are in your 80's they are a challenge. We loved the swimming area and covered tables and chairs for eating or reading, out of the sun's rays. We enjoyed our week at the beach with our college aged kids and their friends and our dogs. The house was close to the beach and we enjoyed having the pool as well. Bedrooms were comfy and the kitchen had everything we needed. The only negative was the living space was cramped due to a wide, uncomfortable couch and chair set. Otherwise, it was perfect. We were very happy with our stay at Magnolia Cottage, It was our first time to St. Simons and the accommodations were great. The cottage was clean, an easy walk to the beach and a short drive to good food. The rental company was very helpful and quickly responded to any questions I had before we arrived. We enjoyed our stay again at Magnolia.. we like the location most of all. I would suggest a spring cleaning for the blinds dusted and floors cleaned and mopped. Dust under living room furniture. Hard for visitors who are allergic to dust. Do not care for beds. Too low for older guests. Would it be possible to sharpen knives in kitchen? Otherwise a lovely home. 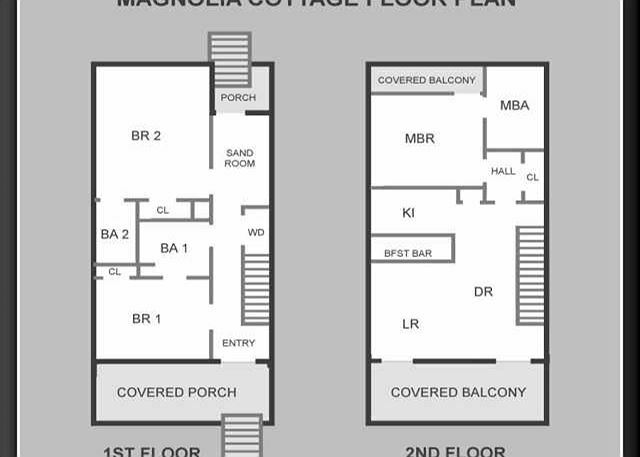 Rented Magnolia for 5th or 6th year. Found it clean, wel stocked, and ready for vacationers. We still have 2 more weeks and am very satisfied. We love the location. We were very comfortable in our rental unit. Close to the beach and not far from the Pier. Everything was provided that we needed to get started. The property management company was very supportive. We went down to St. Simons for our twice-yearly family gathering. This is our first time staying at Magnolia Cottage. It has all of the basics and is a 5 minute walk to the beach and it has a nice pool, on the way. We found the dining table to be too small, but there is seating at the kitchen counter, The dinette chairs were not that comfortable but in a rental they're OK. We need to bring a chair for the upstairs master bedroom. The front steps are quite steep, not sure if there's a building code issue, but take care. I took a pretty hard fall the first night we were there. Fortunately nothing was broken but it put a bit of a damper on my ability to walk...generally I try to walk for 5-10 miles daily. We were not disappointed in this property. If you have little ones, bring a "baby gate". The cottage was nicely furnished and location was perfect. the walls could use cleaning! Very scuffed and smudged in places, as were the doors, in all the expected places. The neighbors were very noisy especially a problem as the houses are so close together. We had a great stay - there were owner issues with the house that real escapes handled on the fly even though they did not create the issue. We were pleased an impressed with their responsiveness and would use them again. The property was as described, and the house is a spacious 3-bedroom. However, the layout was a challenge (we had to haul everything up to the second story to the kitchen), and the beds and furniture were all very uncomfortable. The beds and pillows were hard as a rock. Nobody in our party slept well the entire week. The proximity to the beach and pool are an easy walk, but note if you are coming back at night that there are no streetlights on this particular block. We also had to do some minor cleaning when we arrived, the kitchen trash was full and the table was dirty. It was peak season and they may have been busy and overlooked it. But, given the nightly rate, it was a bit of a bummer. We have stayed in many places on St. Simons, but this was our first negative experience. It was Avery nice house to stay in. It was very nicely furnished and the new renovations were great! As usual, a delightful experience. The new beds are difficult to make up and challenging for older people to get in and out. Love the other improvements. The floors were dusty..perhaps the housekeeping ran out of time. As usual, we have had a great month here. Real Escapes is always helpful and responsive to inquiries. The house was clean and newly updated. We had a great time in the refurbished unit. It was very comfortable and now updated. The process of renting through Real Escapes was very easy and supportive. Another great week in Saint Simons thanks to your staff. You are by far the best when it comes to companies in the area. The process was easy and the staff is so friendly. We wouldn't even consider trusting our vacation needs to anyone else. We had a wonderful time at Magnolia Cottage. The place is in a very convenient location. Had a wonderful 6 week stay. Any problems were immediately handled efficiently. Weather was phenomenal. We had a very nice stay for a month. The unit was basic but very functional, close to the beach and within easy reach of most activities and shopping. We hope to use the unit again. We had a great family vacation at this house. Highly recommended. Loved staying here, great location! We enjoyed our stay again this year. The improvements from last year are appreciated. The house was perfectly clean. The Real Escapes staff was helpful on several questions. A great place to stay on SSI! Great house in a great location...blocks from the beach and a short walk to restaurants. Two married couples atayed for five days and four nights at the Magnolia Cottage. We had a wonderful time. The location was good. The only improvement would be to have it located on ocean front in this same area. It has a nice living and kitchen area and is large enough that we all had our own personal space. I would recommend this unit for families or groups like ours. Very nice trip with 3 couples attending a wedding down the street. Home was perfect size, clean and a short walk to beach. Pool area and beach access very convenientand well kept. This is the second year we have stayed at Magnolia Cottage and dealt with Real Escapes. I can't say enough about how great the staff is. This is the only rental company we have used more than once and we will continue to as long as we go to Saint Simons Island. Magnolia Cottage is beautiful and couldn't be in a more perfect area. Coast Cottages is simply one of the best communities on the island. Can't wait until next year! We have rented from this agency many times and always have a great experience. We loved the cottage and location. What a great home! Overall it was fabulous. A few wishes: a better furnished kitchen, A/C on bottom floor was not working well, more chairs for beach, better grill. But we loved the home and would return again!! We really enjoyed our stay at the Magnolia Cottage even though the weather was terrible. We found a break in the rain and headed for the heated community pool and beach. The location is excellent for accessing the best beach areas on St. Simons, but close enough to the village shopping and attractions. The house was very bright, comfortable, clean and provided all the needed cooking supplies to help us accommodate baking and cooking meals during our stay. The beds were comfortable, linens were nice and paper supplies and dish soap were provided (thank you!). Also nice to have a washer and dryer for washing beach towel, etc. We would definitely stay here again! Stayed in this lovely, simply furnished home for 6 weeks. Love the location for a spring time rental since it has lots of light and sits on a marsh with an unobstructed view. Enjoyed watching birds there. The reverse layout is lovely with 2 bedrooms downstairs and the master upstairs. It was clean, the kitchen well stocked for cooking, guaranteed parking place, and quiet enough. One block from the two pools included in the development and the private access to the beach. We love the location, the layout of the house. It overlooks a marsh which is a great bird watching opportunity. House has most amenities but best of all is the light, airy rooms, simple decor, and reverse layout. Company can stay with privacy downstairs. Access to pools and beach a short walk away. The best feature of this home is the living quarters on the second floor that allow a beautiful view of the marsh and beach! The location on the island is perfect for a get away from a busy life. The cottage is very nice, clean, and 2 minute walk from the beach. The best for me was the open and airy feeling of the property. Plenty of sunshine! We have stayed at many different locations in Saint Simons over the years. This was by far the best. Coast Cottages is beautifully kept and everyone there was friendly. We will definitely be returning as soon as we can. The house was wonderful. Very clean and plenty of room for a family of 6. Being within Coastal Cottages is fantastic - as you get access to the two pools and private entry to the beach. St. Simons at its best! 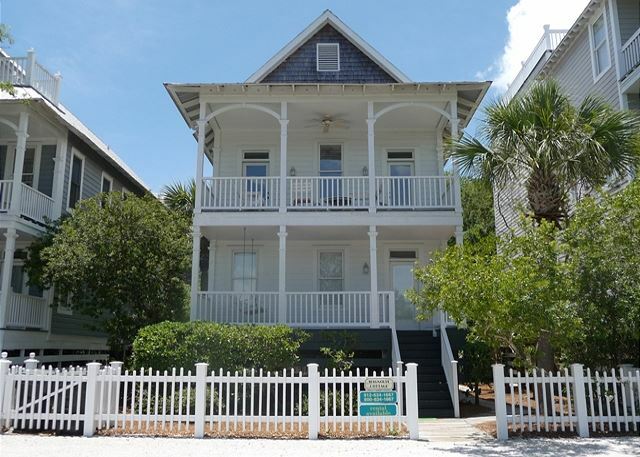 Magnolia Cottage was perfect-gorgeous 2-level home close to the beach with private beach access and 2 pools (heated & unheated) and lovely marsh view. Love the staff at Real Escapes - lower fees than competitors yet friendlier and more helpful. Wish we didn't have to leave. We had a great time! The house was beautiful, clean, and in a great location. Very pleased with Real Escapes, the simple house design, location, quiet, wonderful natural light, pleasing beach colors without cutesy stuff all around. A few suggestions: the floors were vacuumed but not clean and very scratched. A resurfacing and a couple of "drag" mats at the doors would help. Also, staying for a month, a real vacuum and an easy clean mop like a Swiffler would be appreciated. A regular sponge mop is ineffective. We added a couple of things to the kitchen supplies but it was nicely stocked. Also VERY important: a gas grill would be most appreciated. We added beach chairs. Look forward to staying next year! This cottage is full of light, clean and well-equipped. We've been using Real Escapes for years and have always had a delightful experience and excellent service. The Magnolia house was lovely but in need of a bit of maintance. The masterbedroom porch is a bit rotted. We felt unsafe on it. The front steps need to be sanded and painted. A few of us got splinters because of it. The place could use a paint job. We did figure that these were acceptable since we were able to bring our 15 pound Westie. However, for $300 a night we did expect the condition to be a tad better. Real Escapes Properties was the best management company I have ever experienced and I will definitely use them again. We loved Coastal Cottages too! Such a charming setting. Magnolia Cottage suited our group well - private, bright and sunny, and painted in such lovely colors that made us feel happy and beachy.....would love to see more bedside tables and lamps downstairs for the night readers.....other than that the property was great. We will be back! Overall we really enjoyed our stay. Location was great. However, the coverslips on the living room furniture were absolutely filthy and need a serious cleaning (with bleach). The entire week we used our own blanket on top of the couch just to sit on it. The bedspreads in the downstairs bedrooms were also extremely dated, tatered and dirty and the pillows should probably be replaced. Also, some attention needs to be paid to things like vent covers and ceiling fans where dust accumulates. The oustide of the building could use a power washing as well. Even with all this in mind, we still enjoyed our stay. magnolia needs more pans for cooking that was the only thing i could ask for .. other wise it was wonderful !! Great location and decor, but the property was not well maintained. This vacation rental was in a great location near the beach and comfortably furnished however the upstairs air conditioning essentially did not work. It was very warm and humid during our entire stay. There was also a rattling noise which seemed to come from the air conditioning unit upstairs. This made it very difficult to sleep. As always, the staff at Real Escapes Properties is wonderful-they treat us like family and make our stay at Magnolia wonderful and comfortable.We stay 2 months and enjoy every minute. We will be back next year as always, maybe longer. Every thing was great except the supply of toilet paper wasn't adequate. It was great to have a gate available with toddlers. Overall, I enjoyed our stay at Magnolia cottage. It was very clean and tastefully decorated. The street it was on, alongside all the other cottages, reminded me of my summers at the Jersey Shore when I was a child. About the only complaint I have is that there was no ocean view, and I felt kind of closed off. I also didn't like having 2 stories. The walk to the beach wasn't bad, although it seemed a little farther than the website stated. But it was a pleasant walk since the street was so nice and it gave you a chance to see the other cottages. The patio was nice but it faced what they describe as a "marsh view" which isn't very pretty. The 2 community pools are very small and usually very crowded. If the weather is extremely hot, like it was for us, the walk can be uncomfortable since this cottage is one of the furthest ones from the beach. furnishing need to be updated and living area more comfortable. Quality of cleaning especially master bathroom could be improved-kitchen sink leaks and needs to be repaired, couch and chair very uncomfortable, porches, fences need painting and porch furntiure needs to be cleaned-linens/washcloths could be cleaner.However, RealEscapes Properties Staff are the best, helpful and courteous, they had things fixed and repaired immediately! Reservations process and their office are the greatest to work with!After things got fixed, our stay was wonderful. Unable to see the ocean from the house and about 200 yards to the pool. Not enough towels and wash cloths for 6 people. People park on side of road for public beach area on weekends. I would recommend other coastal cottages closer to beach area and pool. The house's kitchen wasn't well equiped with kitchen linens. Also, the bed sheets and pillows had stains a hairs on them. Lastly, there were a few places in the house that needed repairs. The downstairs bedroom with the TV had a leaky roof (in the corner of the room), and its bathroom's towel rack was loose, almost coming off the wall. This is a beach house, I get it, but come on. 1 wine glass? A wine opener that doesn't work? For a home away from home, this one needs some updating. This was a great rental house for three couples and a baby. Nice porch swing, we had fantastic weather, only about 1 block from the beach. Dishwasher was broken, but it was fixed after we called. I wish they supplied laundry detergent, dish detergent, etc. even if they would have to raise the prices per night. Overall a great vacation and a really nice house to stay in! We had a good stay and definitely enjoyed our accomodations. Our concern upon arriving was that there was hand soap in only one bathroom. There was no handsoap or dish soap in the kitchen area either. While it is reasonable to expect guests to bring their own shower toiletries and their own clothes detergent, we expected to have hand soap in all bathrooms and in the kitchen. It started our trip off on the wrong foot and caused us to take an immediate trip to the store after a long journey to the beach. We love St. Simons and Magnolia Cottage fit perfectly. It was clean, close to the beach, a pool, separate bedrooms/bathrooms for couples...just what we needed. It is a very nice development, 5 minutes to the beach with a nice pool, oceanside. Very beautiful homes. The cottage was great. We were disappointed with its distance from the beach. The cottage was advertised as being just a few steps from the beach, when in fact it was a very long, hot walk. We ended up loading up our car, driving to the pool, unloading the car, then driving the car back to the cottage as there was no pool parking, then walking back to the pool, gathering our beach stuff and walking the boardwalk to the beach. Then we had to do everything in reverse to get back to the cottage. We did not enjoy that part at all. Our family enjoyed our stay at The Magnolia Cottage. It was a combination of a honeymoon,anniversary and a family vacation, hence,"familymoon". Was the best time we'd had as a family. Enough bedrooms and baths for everyone. Enjoyed the sun rises over the ocean! !